Laboratories need scales that are highly precise and accurate. When you are performing measurements that determine the acceptance or rejection of all sorts of products, you don’t want to be uncertain about the amount of reactant you are measuring. Measuring either too much or too little could invalidate the testing you wish to achieve. However, not all laboratory tests are created equal. Some industries are more highly regulated and require much more precise testing to determine the suitability of the products delivered. For instance, testing of chemicals in the petrochemical industry may not require as strict controls over the amount of reactant used in a laboratory test as those in the food or pharmaceutical industries. A test for the amount of octane in the gasoline being provided for an automobile could likely be off by more than the testing for the amount of a drug in a pharmaceutical mixture or the testing for pathogens in a food product. When human safety is at risk, and an ultra precise measurement is needed, there is no excuse for cutting corners. 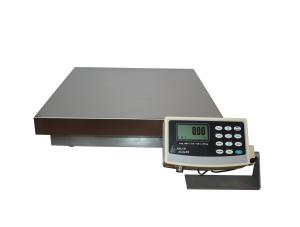 Regular scales in the industry will provide you with a sensitivity of 1 gram at best on a scale with a capacity of 200 grams. This will be accompanied with an accuracy reading generally in the range of 0.1%. Comparably, the Arlyn Scales 200 gram high precision scale has an amazing sensitivity of 1/10th of a milligram and an accuracy of 0.01% with an internal resolution of 1 part in 2 million. However, there are no special skills required to operate these extremely sensitive units. Arlyn also offers an enclosure, which protects the weighing area from fluctuations in humidity, air currents or temperature. These rugged units are provided with no requirement for dealer servicing and an automatic calibration so that you do not need to follow complex procedures to maintain the unit. Product Code 7 High Precision Scales with Super Sensitivity: For laboratory measurements that need high precision, we offer four precision scales with incredible resolution for highly precise measurements: 200g capacity with 0.1 mg resolution, 300g and 1000g capacities with 1mg resolution, and a 6200g capacity model with 0.01g resolution. Standard screen sizes for measurements are a 1” high LCD digital display with an update refresh rate of 0.4 seconds and easy adjustment. These units can operate in temperatures from 14°F to 104°F and have power requirements of 117 VAC, 50/60 Hz. Options include a printer that can accommodate card stock, paper and labels, and the unit can also be installed with our WinWedge Windows software that will allow the scale to connect to a computer through an RS232 connection so that you can download and process data offline. It is true that an entire industry can be changed by a technology breakthrough, and Arlyn has done this with their Surface Acoustic Wave (SAW) technology ultra precision scales. These scales with the patented SAW transducer are ultra sensitive, ultra accurate, ultra stable, ultra rugged, ultra versatile and provide 10 times better accuracy than a standard highly precise scale. For example, a regular 100-pound scale will give a sensitivity of 0.02 pounds and accuracy of 0.1%, whereas the SAW scale offers 0.001-pound sensitivity with accuracy between 0.01% to 0.005%; which is ten to twenty times better. These units can handle 2.5 times the rated load without damage and are much more reliable even with temperature shifts. Add the numerous available capacities and optional communication options and you have an extremely stable, rugged and versatile scale, meanwhile providing the best measurement resolution available. Model SAW-X Ultra Precision Scale: The SAW-X scale has an 8” by 10” platform size with a capacity and resolution of 10 pounds by 0.0001 pounds (5 kg by 0.05 g). The unit is linear over the full capacity, usable in temperatures from 10°F to 120°F and has a safe overload capacity of 250%. Overall accuracy is 1:20000 with a sensitivity drift of approximately +/- 2 ppm. The unit comes standard with the MKE-5 digital indicator, which is a 1” graphics LCD digital display with 0.4-second updates. Also available as an upgrade, is the UpScale 7” color LCD touchscreen display, which is fully customizable. Like everything else in industry affairs, you want to get the best measurement equipment that is available and suits your needs, but you also need to watch your budget so that you do not spend over your means based on your available spending. This is why you want to work with experts in the weighing industry when you are choosing the right scale to suit your needs. So if you are in the market for a highly precise scale, talk to our team of experts who are authorities in providing the latest technology, superior quality and utmost value to our customers. At Arlyn Scales, we have been a leader in the design, development and manufacturing of technology for the weighing industry for over 30 years, and in this time, we have learned what it takes to find the right scale for the job. If what you need is a high precision scale, we won’t be the ones to try to sell you a more expensive scale than you need. However, if you need an Ultra Precision scale, we can provide you with a scale that meets your needs at a price lower than you will find anywhere else. If you need advice and are local to Long Island, NY, you can call us at 516-593-4465, and national customers can call us toll free at 1-800-645-4301. We are also available online. One of our team members will get back to you as soon as possible with the answers you need for all of your questions. We’re standing by ready to assist you when you’re ready to purchase your next high precision or ultra precision scale.